Okay, so it’s a made up word – doesn’t mean the fear is not real. I have been teaching for nine years now, a little over a year in the capacity of a tech teacher, and I have just recently begun to face my fear of teaching about copyright. Not that it never came up. On the contrary, there have been plenty of teachable moments over the years that I have always chosen to ignore, ‘sweep under the rug’, and hope it goes away. Why? Not because I don’t care or don’t think it’s important. Truth be told, I never quite understood copyright laws. Not only are they written in legalspeak, they are riddled with hypotheticals and exceptions. Also, they are constantly being amended to keep up with the ever changing landscape of the Internet. Another reason (excuse) I gave myself for not teaching about copyright is that I never believed kids would ‘buy it’ (no pun intended). Although perhaps it had more to do with my ability to ‘sell it’ so that they’ll ‘buy it’. How do I convince kids that it’s not okay to download copyrighted music from the internet for free? Or that just because you pay $5 for a DVD copy of a movie that’s still in theatres is illegal despite the fact that you ‘paid for it’? How do I explain that they cannot just copy and paste any image they found on the Internet into their slideshow/presentation/movie without the owner’s permission. And even if I convince them that it is wrong, will it change their bahaviour? Will they stand up for what’s right, or will they ignore, ‘sweep under the rug’, and hope it goes away like I have done for so many years. Sadly, I didn’t really believe that me teaching about copyright would make much difference in their lives. But I did it anyway, given a nudge by various circumstances and one conscientious colleague. After all, facing your fear is an important step in overcoming it, right? 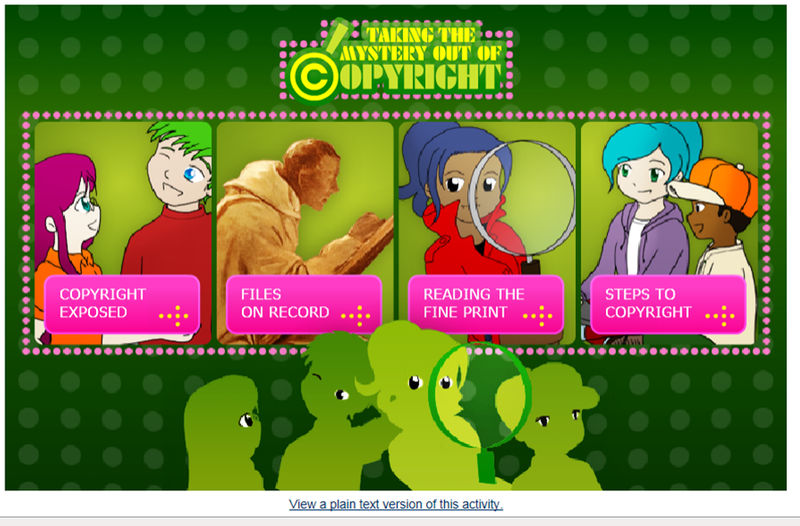 And in order to face copyrightophobia, I needed to learn more about it. I went online and got more information, found some kid-friendly websites, and started to make some sense out of this copyright business. It has never been my intention to get philosophical on this blog. My goal from the beginning was to write posts that are going to be practical and hopefully useful to other teachers. However, I needed to get this out because I have a feeling that there might be some fellow copyrightophobiacs out there that need a little nudge themselves in order to teach this topic. Before I lay down the practical though, I just want to share a student post that inspired me to write this. They were listening! And they took it seriously! And they took action! Now, I understand that their response here is a little harsh and misguided, but nevertheless: They were listening! And they took it seriously! And they took action! I’m ashamed at how grossly I have underestimated them. This is an excellent tutorial not only about copyright issues (slides 34-43), but also about online over-sharing, cyber bullying, and plagiarism. 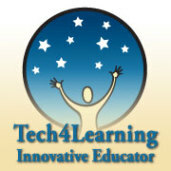 In it, teachers are encouraged to promote respect for the intellectual and creative property of others. One way to do that is to apply empathy. A good time to start teaching about copyright issues is after students have spent a lot of time and put in a great deal of effort into creating something of their own. In our class students created a timeline using Smart Ideas for a biography assignment they were working on. 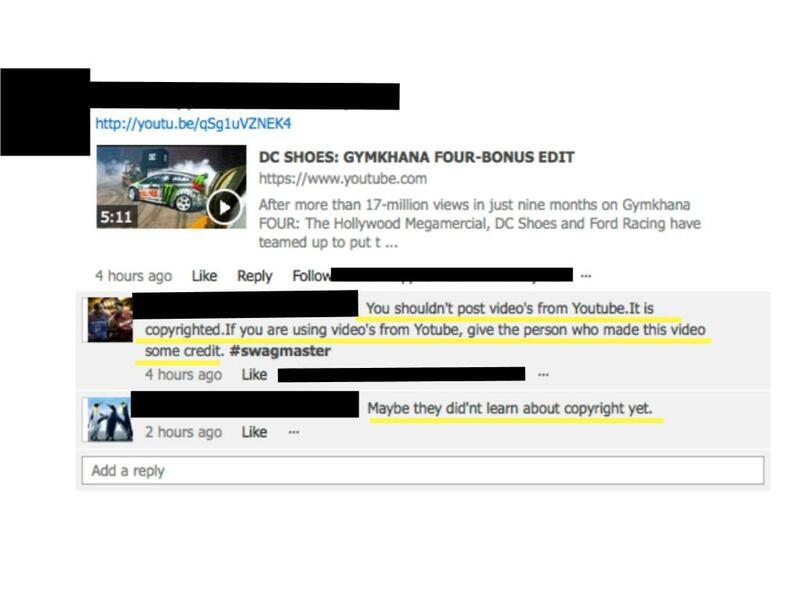 Lead a discussion about how it would make them feel if they posted their work online and someone copied it and used it in their school assignment without acknowledging the person who created it. Another way to promote respect is to challenge some social codes students may believe are norms with respect to online materials. One of those may be that “copying isn’t stealing” (slide 39), another that “it’s okay so long as I give credit” (slide 40). The logical next step is teaching kids how to find resources online that they are legally allowed to use. Here is another great Media Smarts resource where you will find information about Public Domain, Creative Commons, and Fair Dealing. I’ll be the first to admit that I am not an expert on copyright laws. I know that there is still a lot to learn and that I will probably make mistakes along the way in how I use, and teach about the use of media. However, I’m glad I started the conversation with my students about this important topic. How do you approach the issue of copyright in your classroom? Posted on November 14, 2013, in Digital Citizenship and tagged Copyright, Creative Commons, creative property, Fair Dealing, Intellectual property, Public Domain. Bookmark the permalink. Leave a comment.